South Rim of the Grand Canyon, expired Kodak slide film, B&W photoshop conversion. What Frida said. Quite lovely. Looks like someone twisted it like an old rag. So dry. The greyscale really adds to the natural greys. What a great tree, love that trunk, nice shot. Love that image – fantastic composition and amazing b&w treatment! Bravo! wow!! thiis looks like a place death would hang out! awesome photo! wonderful composition and details. i like the twists in the trees and the similar textures in the canyon walls. I like the details at tree and textures in the canyon walls too. Very nice composition. 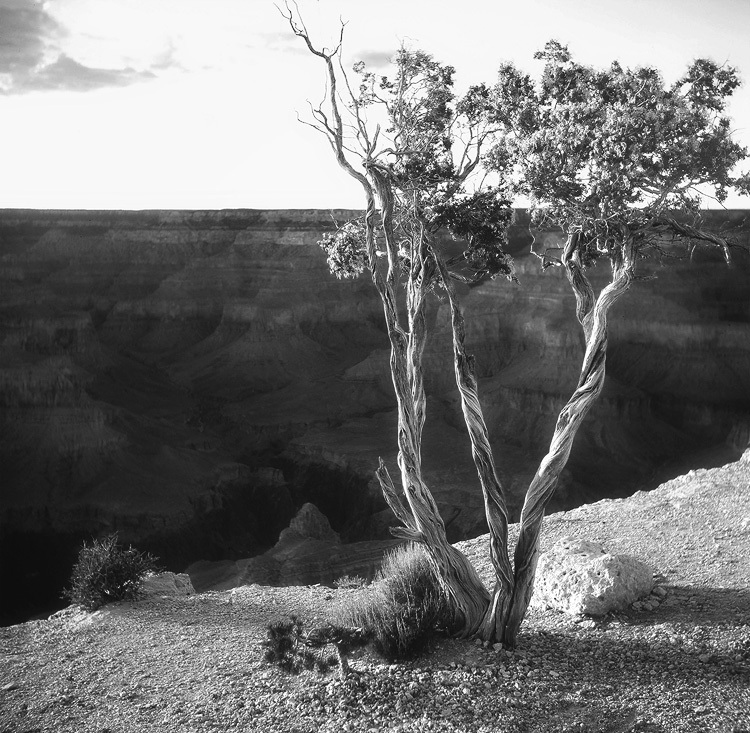 Great b/w – that tree actually manages to upscale the canyon, which is hard to do!